In the Salento countryside, shaped for centuries by olive trees, members of the Farmers’ Cooperative Agricola Nuova Generazione extract only the best parts from the olives using increasingly modern tools and methods that nonetheless respect past traditions. The experience of those who manage the various processing phases guarantees the quality of the products, which reach the market directly by means of leading transport companies without passing through intermediaries, which sometimes alters the products’ characteristics. 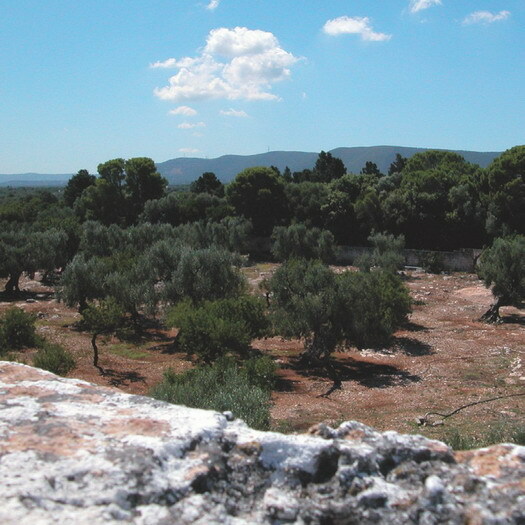 In 2006, the Cooperative opened a factory for processing table olives, thus increasing the range of their product offerings. The farmers’ cooperative, established in Martano in 1979 by a group of 20 young farmers, currently comprises 1400 members to whom it tries to offer maximum profitability from the work and maximum productivity from the land with permanent employment in agriculture. In February 2010 the Cooperative carried out a merger and incorporated two other cooperatives, the Cooperativo di Corigliano D’Otranto oil mill and the Cantina Campi Latini di Seclì, thus expanding their product offerings with wines and becoming a food farming reference point for the Salento area. If you visit the farm from October to January, you can participate in the olive harvesting and pressing and you can take home the oil you make.